The Provincial Growth Fund continues to support a wide variety of business. The aim of the Fund is to support an enabling environment for businesses by providing financial support to innovative economic development projects that are aimed at assisting with the expansion and sustainability of a business grouping to minimum of two qualifying businesses. This Fund provides government support in the form of cost sharing with a maximum government contribution of 70%. This means that the 30% will be the project cost’s own contribution. The objective of this initiative is to fund innovative project proposals that enhance the exciting operations, or expand the current local production of a pair or a group of businesses by improving their productivity or competitiveness; improving supply chain activities / co-ordination; gaining access to new markets; increasing market share within an existing market and improving the competitiveness of a cluster of businesses within a common geographic region. Furthermore, innovative projects may include productivity improvement, human resources development (both technical and non-technical) marketing material development that will benefit the businesses as a group, participation in events such as exhibitions, pavilions, festivals, etc. which have real potential of increasing turnover, market share, accessing new markets, research and development and lastly equipment. These improve productivity or product quality which, in turn, enable the business to increase their turnover, access a market or expand within an existing market. This is an initiative of the Provincial Department of Economic Development and Tourism, and Casidra is appointed as an implementing agency to roll out the funds. Thus far, this has been a great success, as a lot of funding has been paid out to a wide variety of successful applicants. 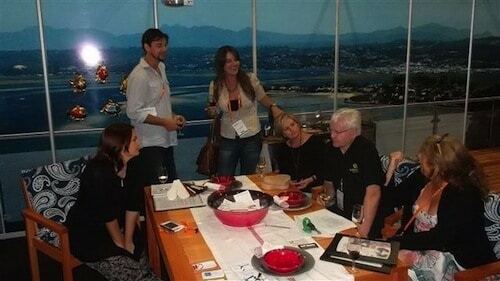 These include Knysna Business Connection, which is a group of seven manufacturers and designers in the Knysna area who attended the Hostex and Decorex exhibitions to showcase their products. Stripform Packaging was also supported from this funding programme. It is an Atlantis based company that does the manufacturing and printing of pharmaceutical and pathology bags as well as customized chain-linked ziplock bags. 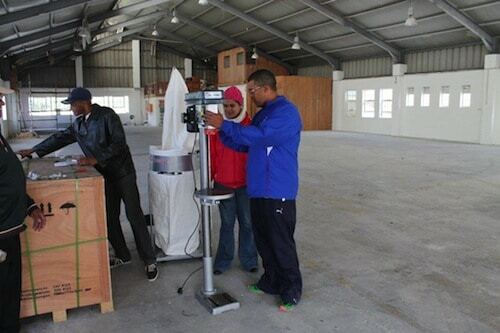 Stripform Packing has been in business for more than 30 years and employs more than 100 people. Another company that received funding support from this programme is Topshell (Pty) Ltd. This steel manufacturing company was established in 2005 to cater for the rental of modified shipping containers as offices and storage space as well as the rental of portable chemical toilets predominantly to the construction industry. Read more in our next edition of Ceedee News when we will be focusing on the success rate of these companies.